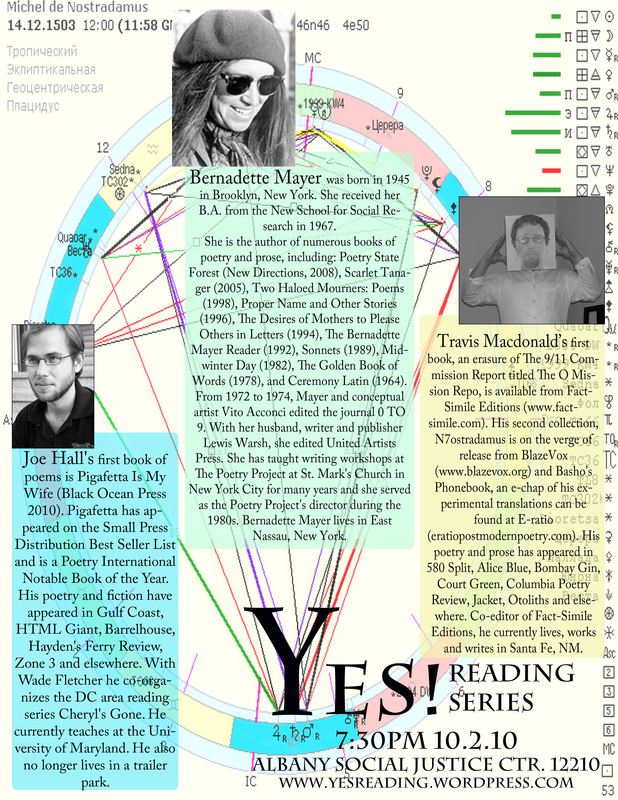 Albany, Bernadette Mayer, Reading, Travis Macdonald, Yes! Hey, you know your book is listed under “Popular culture” on Wikipedia’s Antonio Pigafetta page? Hell yeah poetry as popular culture. I also just found out the book is being sold in Australia and New Zealand. They probably liked the sail boat on the cover.